Small businesses from the United States are invited to a unique opportunity to meet small and medium enterprises from China. Meeting will include presentations by U.S. and Chinese companies followed by one-on-one meetings. (http://www.chinasme.org.cn/index_e.asp), operates under the authority of China’s National Development and Reform Commission. The Center, as it is known in China, is charged with promotion and development of Small and Medium Enterprises (SME) within China and the development of international cooperation to encourage investment within China and abroad. The Center’s main task is to connect the various regions and departments of the Chinese government in charge of SME-related development with foreign businesses for advancement of small and medium enterprises in China. The Second Sino-U.S. SME Investment Forum in 2008 will provide an opportunity for exchange and matchmaking between SMEs and investment funds from both the United States and China and facilitate conditions for SMEs in China to seek financing channels, integrate into the global market and participate in international business. This is an excellent opportunity for US companies to begin developing contacts with potential Chinese business partners. Shenzhen Chuangyin Industrial Co., Ltd.
GuangDong Electric Power Industry Development Co.
Wulian Wood Industry Group Co., Ltd.
Dongguan Mai Plastic & Hardware Product Co., Ltd.
Guangdong Dahua Sugar Industry Co., Ltd.
Jiajie Packaging Industry Co., Ltd.
Guangzhou Automobile Group Component Co., Ltd.
Shenzhen Sunshine Engineering & Design Co., Ltd.
COSCO Guangzhou Construction Industry Co.
Taiyuan Heavy Machinery Group Co., Ltd.
Shenzhen Radio Electronics Technology, Ltd.
Shenyang Sci-tech Guarantee Investment Co., Ltd.
Haining Hongshi Elevator Decoration Co., Ltd. Seminars will be held weekly beginning October 9th. Space is limited to 25 participants. To secure an application call today!!! Caltrans Central Region invites you to attend this unique networking event to learn about upcoming contracting opportunities, meet key staff members, and network with other potential prime consultants and small businesses. The Department is a strong advocate of small business participation on A&E contracts, including Disadvantaged Business Enterprise and Disabled Veteran Business Enterprise. Caltrans Central Region recognizes the strength of networking and building partnerships. The A&E Fair will enhance opportunities for small business participation, enable businesses to shake hands and share qualifications, and build partnerships between Caltrans and other private firms both large and small. On behalf of Lockheed Martin Corporation, you are cordially invited to participate in either a Supplier Information Session to be held August 26, 2008 from 8:00am to 4:30pm at the Lockheed Martin facility in Sunnyvale, CA or a Supplier Information Session to be held August 28, 2008 from 8:00am to 4:30pm at the Sheraton Gateway Hotel LAX located at 6101 West Century Boulevard in Los Angeles, CA. Lockheed Martin Corporation’s Supplier Information Session is a two way forum offering suppliers the opportunity to learn about Lockheed Martin Corporation businesses and for the corporation to learn about potential new suppliers. Attendance will give your company exposure to engineering, technologies, manufacturing and purchasing initiatives within Lockheed Martin. This session will include an overview of the 4 business areas within Lockheed Martin as well as current programs. Conference participants will have an opportunity to meet with representatives from each business area. Note this information session is not a contracting meeting. Please see the attached file containing information on Lockheed Martin’s potential sourcing opportunities. This invitation is limited to no more than two people per company. If you are planning on attending, please complete the attached registration form stipulating which of the two Supplier Information Sessions you will be attending and email it back to Cathleen Campbell at cathleen.p.campbell@lmco.com no later than August 6, 2008, the reservation cut-off date. The registration also includes an area to list the names of the business areas with whom you would like to meet for the one-on-one sessions to be held in the afternoon of both Supplier Information Sessions. These one-on-one time allotments, approximately 10 minutes in duration per business area meeting, allow your company to show its strengths to Lockheed Martin personnel. The list of business areas and their needs is located in the attached file entitled “What Does Lockheed Martin Buy”. All companies attending the Sunnyvale Supplier Information Session will receive directions to the facility. A room block has been made for those companies attending the Los Angles Supplier Information Session at the Sheraton Gateway Hotel at a price of $109 per room. Please contact the hotel directly and ask for the Lockheed Martin room block to reserve a room. An agenda is forthcoming to all registered companies of both Supplier Information Sessions. The Small Business Administration offers almost 500 classes each year for business owners on a variety of topics in our Entrepreneur Center, located at 455 Market St., 6th Floor in downtown San Francisco. For more information, please contact Gary Marshall at (415) 744 6771. Please join the Alameda County Transportation Improvement Authority (ACTIA) in partnership with its Citizens Advisory Committee and sponsoring agencies at a South County Transportation Forum (i.e., Fremont, Newark, Union City) focusing on major transportation projects that will be implemented within the next five years. These projects are funded through your local sales tax dollars, state, federal, and other funds. Come hear about and discuss project details, schedules, and contracting opportunities. For more information about ACTIA, visit www.actia2022.com. "Supplier Diversity Bid and Contract Opportunities"
Last day to register: May 30, 2008! Looking to Start a Business? Think Franchise! Why do I need to market to public works clients? Space is limited ... don't miss out!!! On the 2008 tour, the mantra is “Partnering for Success”. So from coast to coast we plan on partnering with regional organizations in different cities and states in order to reach Asian Americans business leaders. By inviting Asian business organizations and their members to voice their concerns and needs to corporate America and government agencies, and vise-versa, this forum will provide tools for a stable economy and solutions on issues affecting the 21st century Asian business owners. Never before has this been done by two national Asian business orgs, and by participating you will benefit from this historical tour. The first stop will be San Jose, California with the hosting organization, Asian Business Association Silicon Valley (ABA of SV) in California. To register online: Visit the RSVP page here. Virginia Harmon, EO & Diversity Mgr., SFMTA The "Central Subway", and more! Cost: None! Free to all members & guests. BART is currently conducting an Availability and Utilization Study (Study). The purpose of the Study is to analyze and evaluate BART’s contracting practices in the areas of procurement of products, equipment, and supplies; construction services; and professional services, including technical, architecture, engineering and paraprofessional services. BART is sponsoring a community meeting to inform the business community about the Study. Representatives from chambers of commerce, trade associations, and governmental organizations, like your organization, will have the opportunity to provide information literature and information of interest to local businesses. Click here for the invitation letter. Please RSVP by email at , visit www.bartmeeting.com, or call 510.291.9682 for more information. BART will be hosting this event to discuss the construction contracts listed below that will be coming up for bid in May and June. All Primes and Subcontractors are encouraged to attend. West Oakland Station, Contract No. 15PF-110, Est. Contract Value $7- $11M. Structural retrofit of pier foundations, columns and caps; demolition of selected existing facilities; shoring for excavation support; excavation; clearing and grubbing; steel structure retrofit at girders and abatements; drilling and bonding; drilled concrete piers and shafts; micropiles; elevator lobby modifications and removal of elevators; electrical work at selected piers and the gap breaker station; and restoration of paving sidewalks and surface features, including landscaping. Other miscellaneous work includes site preparation, and utility relocation. Please Take a Moment to Respond. Questions about the outreach should be made to BART’s Earthquake Safety DBE Program Manager, Ms. Ruby Smith, at 510-464-6324. To confirm your attendance, please click here to download the flyer and fill it the registration on the second page and fax it to 510-874-7470 or contact Harry Overstreet II, BART Earthquake Safety DBE Coordinator at 510-464-6959. Please contact Samantha Low (415.398.1393x103), if there are questions about this event. The following announcement provides contracting information that may be of interest to your firm. The Business Outreach Committee of several Bay Area public agencies invite you to attend an informational session to learn about upcoming projects and business opportunities. Enclosed is a notice that provides further information. Please contact meeting coordinator Sheila Evans-Peguese at (415) 701-4436 or sheila.evans-peguese@sfmta.com for additional meeting details. Tuesday, March 25th, 2008, 5:30 p.m.
Friday, February 22nd, 2008, 5:50 p.m. – 8:30 p.m.
Thursday, January 24th, 2008, 11:30 a.m. – 1:30 p.m. Expand your Horizons! Expand your Opportunities! Become Certified as a Minority Business! Admission: FREE! Lunch will be provided! Thursday January 17, 2008, 6 p.m. to 8 p.m.
Rachelle Chong was appointed to the California Public Utilities Commission in January of 2006 by Governor Arnold Schwarzenegger. She is the first Asian American to be confirmed for this commission. Commissioner Chong was also a commissioner of the Federal Communications Commission appointed by former President Bill Clinton. She has been a corporate general counsel and a small business owner. Commissioner Chong would like to meet CAABA’s members and other business owners. Come and support her position to have minority and women do business with California’s public utilities - a high priority. CAABA Members – all associations: Free Non-Members: $50/person Buffet Dinner and Drinks Included. RSVP by January 14. Contact the President or Membership Chair of your Association Or to Darlene Mar at Darlene@caaba.org and reference CAABA’s event. 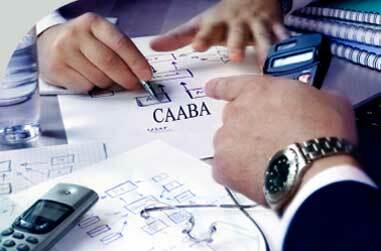 CAABA is the Council of Asian American Business Associations, which includes the following member organizations: Asian American Architects & Engineers, Asian Business Association of Silicon Valley, Asian American Contractors Association, Asian American Association of Certified Public Accountants/Attorneys, and East Bay Asian Design Professionals.